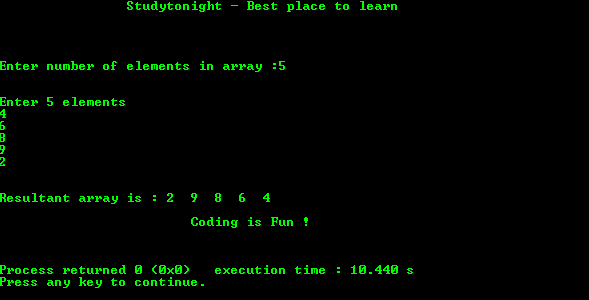 Below is a simple program to reverse an array. copying reversed array into original. Here we are modifying original array to reverse it.